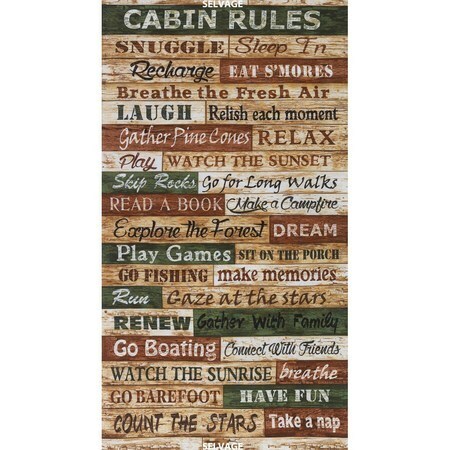 The Cabin Rules fabric panel from Timeless Treasures. 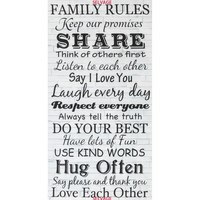 Designed to resemble wood paneling, this 100% cotton material is covered in cabin rules. 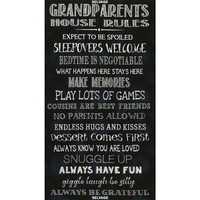 Rules include breathe, have fun, and take a nap. Ideal for use in wall hangings and quilts. Panel measurements are 24in across by 45in long. Laundering Instructions: Machine wash: cold, with like colors. Do not bleach. Tumble dry low. Warm iron. Fabric softener not recommended.